Named for the immortality-inducing drink of Hindu divinities, Amrit Ocean Resort & Residences is a planned well ness community that will seek to vivify residential life with insights gleaned from Eastern philosophy and practice. 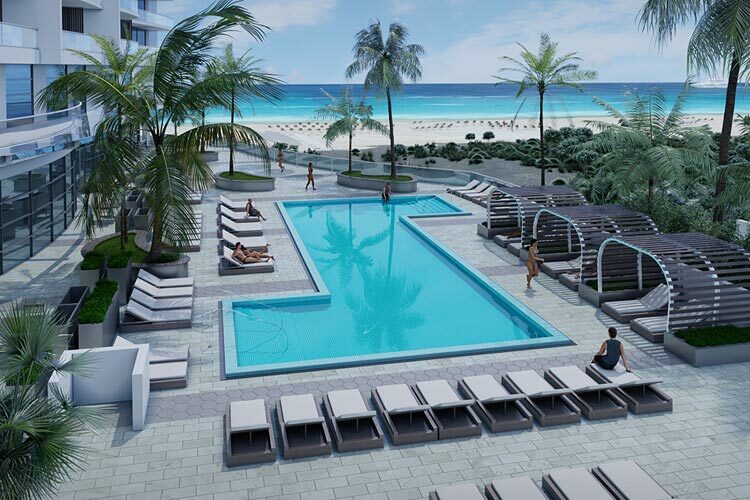 Fittingly, the retreat, which is on track for completion in late 2019, will be based on Singer Island in Palm Beach County, Florida, an area once considered the domain of the legendary Fountain of Youth. To create its oceanside paradise, the resort plans to provide amenities to improve the mind and body, such as an outdoor yoga studio, meditation garden, and an “infusion zone” (a skincare-focused spa supervised by an on-hand nurse). Residents will also be assisted on their path to wellbeing by a specially-designed app, which – by acting as a virtual digital assistant – will advise them on diet, fitness, and local cuisine. Jointly designed by S&E Architects and Bilkey Llinas Design, Amrit will cover seven acres of the Floridian shoreline, allowing space for 351 Units.